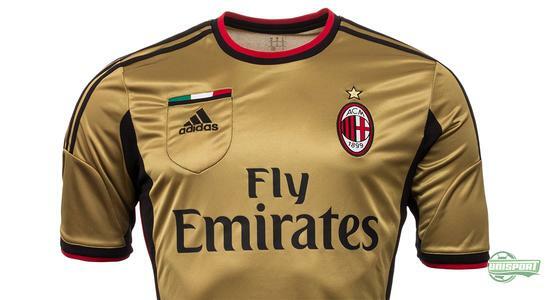 After a hectic few days of shirt releases AC Milan want in on the fun and unveil the clubs brand new 3rd shirt, which is sure to divide opinions. It is not only decorated with gold features like other shirts would, no no, this is almost entirely gold and the most fitting description for it, is probably that it is awesomely Italian. The Italians have never been scared of a little flamboyancy, when it comes to clothing design and fashion, this can definitely not be disputed when looking at this shirt, as the design is very daring. However, if there ever was a club with players, who possess flamboyancy, attitude and boldness in abundance, it would be AC Milan. You would be tempted to think El Sharaawy, Balotelli and Robinho had something to do with the design. 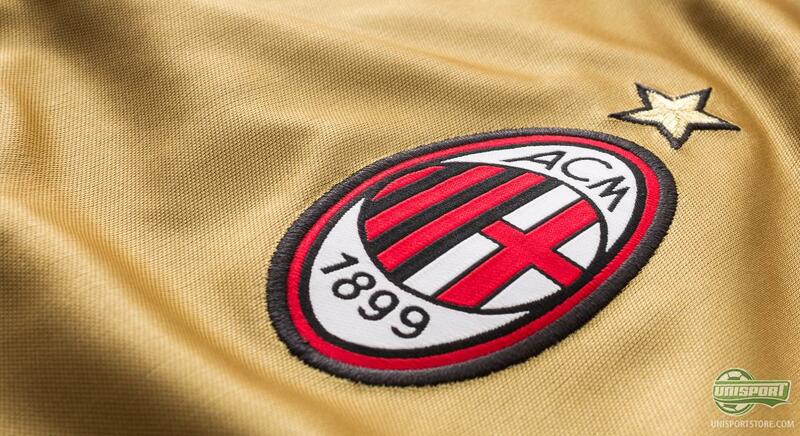 You can already now Pre-order your AC Milan 3rd shirt 13/14 here, with an expected delivery in the beginning of June. 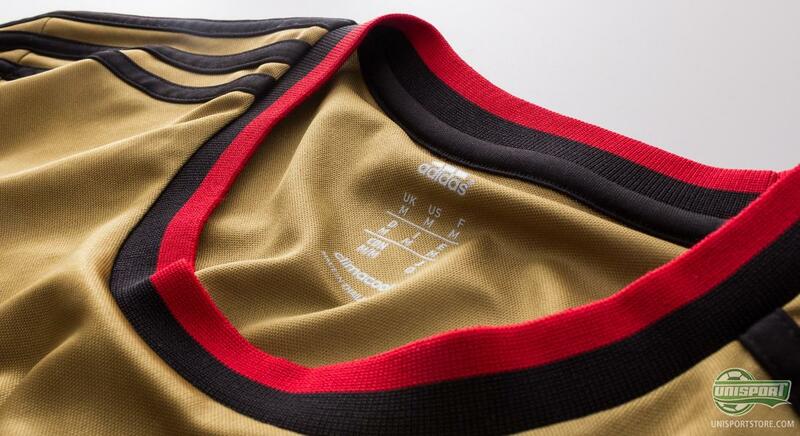 AC Milans new 3rd shirt is based around last years concept, where parts of the design elements feature again. 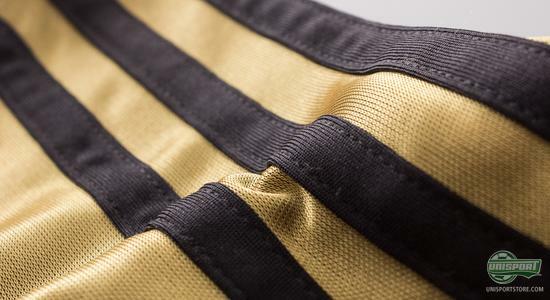 Here they have kept the chest pocket on the front, which makes it look a little like a referees set. 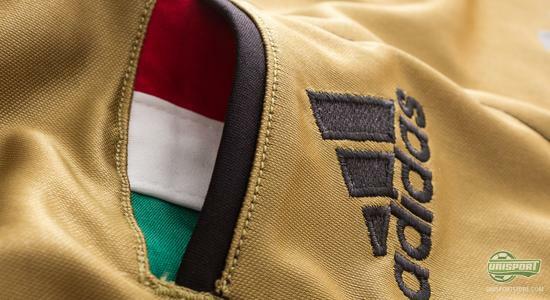 On the pocket itself the Adidas logo resides and above it you can see the Italian flag, if you were ever in doubt where the shirt comes from. AC Milan have opted to change the collar, compared to last years 3rd shirt, which had a large collar. 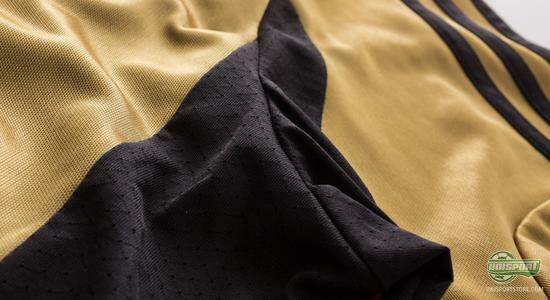 A Classic look with a round neck has been preferred and along the edge a black and red line runs, which matches the clubs home-kit. 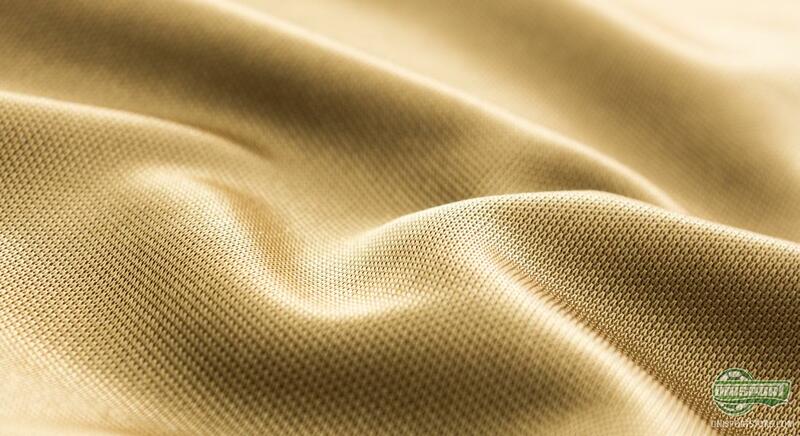 The collar is designed in a more elastic material than the rest of the shirt, as to optimise the comfort. This is particularly practical when the games really heat up and a little tugging and pulling occurs. It is as always Adidas who are responsible for AC Milans shirt and the two parties have actually been partners since 1998. This has throughout the years brought fantastic shirts and iconic looks and we definitely feel confident in guaranteeing that this shirt won't be forgotten for a while. The design is unique and that is something we commend. 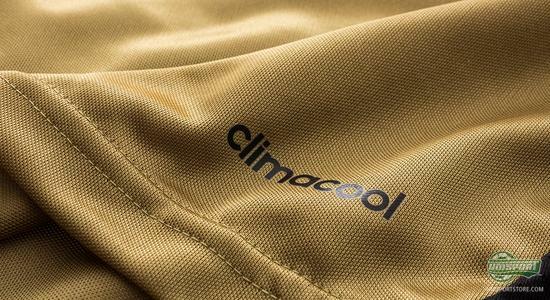 The shirt is naturally produced with the incredibly nice ClimaCool-material, which is designed with the focus of keeping the body at a comfortable temperature. It makes it very good at transporting sweat away from the body and out to the outer layers of the shirt. 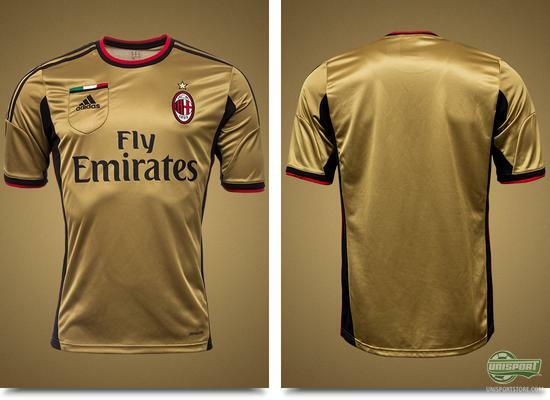 It is gold, has a breast pocket and is emblazoned with an Italian flag. 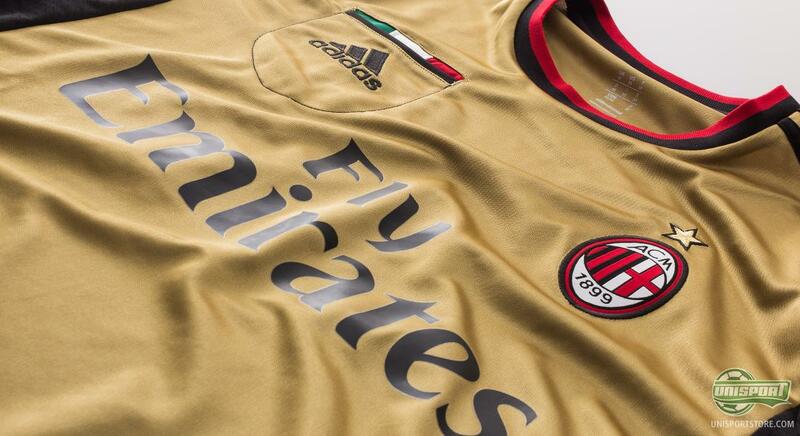 Who other than AC Milan, Balotelli and the gang could wear it? We are struggling to see who could. What do you say to the crazy 3rd shirt? Is it something you like, or is it a step too radical for you? Let us know in the comment-section down below.